What kind of tablet does $5,000 get you? Can your tablet withstand a 2-meter drop or be submerged in water for 30 minutes and keep functioning? 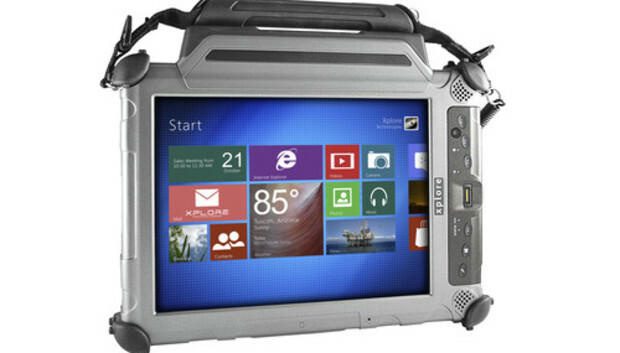 The new $5,000 tablets from Xplore Technologies can. The DMSR and the military-focused DMSR M2 are the highest performers in Xplore's new XC6 line, and both have eye-popping hardware and durability features. A more basic XC6 model starts at US$3,299, but the DMSR tablets, priced at $5,299 and $5,599, have better components and screens. The DMSR and DMSR M2 have many common features, including 10.4-inch rainproof screens. They display images at 1024 x 768 resolution. That's less than some cheaper Windows tablets, but Xplore claims to offer excellent LCD visibility in sunlight thanks to a display luminescence of 1,300 NITS.